ninztronic, 28 Apr 2011hello.i just want to know if where i can buy accessories of my Palm Treo 650.is there availabl... moreI have had many good orders over the years from CellPhoneShop.Net for accessories and batteries! I misspoke earlier, saying .com but it's .NET. Very inexpensive and good, on-time shipping. I've had this great-before-its-time phone for 5 yrs. I LOVE it! Its user-friendly, easy buttons for texting & a IM-style texting like no Other!, great instant calendar, memos, games, Documents, calculators great,applications, picture files (I only wish the camera had higher pixels), Video, recordable ringtones, great music capability, Physical buttons I love vs. stupid applications on all the new phones. It's sturdy & nearly Unbreakable & has tons of capacity! I have 2,000 txs on it I need to clean out (I use Documents to keep sentimental ones), tons of music storage files & ease, hundreds of pictures stored & 20 books on it! & much More!...the storage is unbelievable! The Ease is unmatched. I love the in & out sim card design, in and out Sd-card port, physical buttons AND applications of any whim. I hesitate to go to iPhone or other newer phones to deal with tedious program in & outs, & all u have to Learn to use it. I go in to church or a movie & with 1 touch, turn off the phone. It's an easy phone! I have 2 now, & am searching for more for the future. I worry the Service Providers won't handle it's service much longer, updating. Does anyone know more about this? ninztronic, 28 Apr 2011hello.i just want to know if where i can buy accessories of my Palm Treo 650.is there availabl... moreYes, I have had great success for many years using CellPhoneShop.com for batteries and accessories. They are reasonably priced as well. Hope this helps. hello.i just want to know if where i can buy accessories of my Palm Treo 650.is there available accessories in Cebu,Philippines? Please help me THANKS. This phone is pretty indestructible; I've dropped it numerous times and even left it outside for 8 days in the weather and it still works! Malou, 02 Mar 2011I need a change of battery but dont know where to find one. Please help if you know where to ... morei found one on amazon for 49 cents brand new if you have not made an amazon account its very simple my 9 year old brother buys things on it all the time. copy and paste to web browser box. ana, 03 Jul 2010is just need a new change batery.I need a change of battery but dont know where to find one. Please help if you know where to source the battery. Anonymous, 18 Feb 2011ebay, just bought one for 5 bucks, works greatpls. i need this fone. where can i get to buy ? please give me program systems of iran treo 650. Anonymous, 09 Mar 2010I have the same unit but the problem is I lost the hotsynch cable. 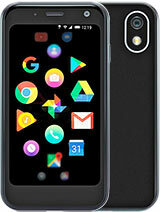 Is there anyone out there ... morehi...i have palm 650 too...but want to know more of its features...i have a cable here for sync..
People aske me for User manual in Spanish, can you change the lenguage? i believe this is a very reliable smartphone.it is even called one of the best smartphone in the market. its my 2nd time to have this unit and after so many years of use, i am not prompted to change. its lack of wifi and mega pixel camera is not a big deal to me. Anonymous, 18 Mar 2010I need a Palm treo 650. What is the price of one? i have one treo 650 for just $80..for sale and in good condition!